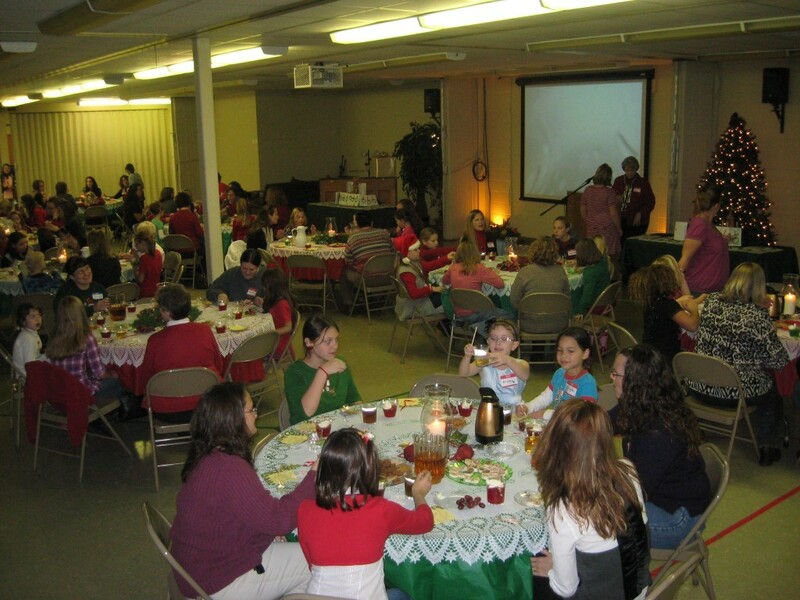 At Christmas time each year, the SMM (Serving My Master) group sponsored by the Winona Lake (IN) Grace Brethren Church (Bruce Barlow, lead paster) holds a Mother/Daughter Tea. 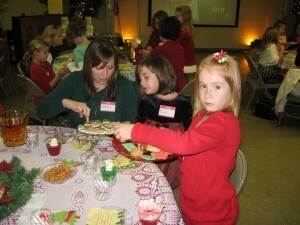 This year’s tea was this Thursday afternoon, December 16, and about 120 mothers and daughters were in attendance. The SMM group meets at Jefferson Elementary School, located across the street from the church building, Thursdays at 3:45 p.m. after school. Approximately 80 girls in grades 1-6 are involved this year, with more than a dozen mothers, ladies from the church, and Grace College students as helpers and directors of the program. Sharon White is the director of the program this year, working under the director of children’s ministries, Becky Wilson. At Thursday’s tea, the program began with refreshments. The girls presented some program elements for their mothers, and Nancy Peugh spoke about Christmas traditions in Germany, where she served as a missionary for 20 years. The other “big event” of the SMM year is a father-daughter picnic in the park, held in the spring.